Hubby’s place of work has a new stall opening up. It’s exciting because it’s based on one of my favourite fruits- the durian! 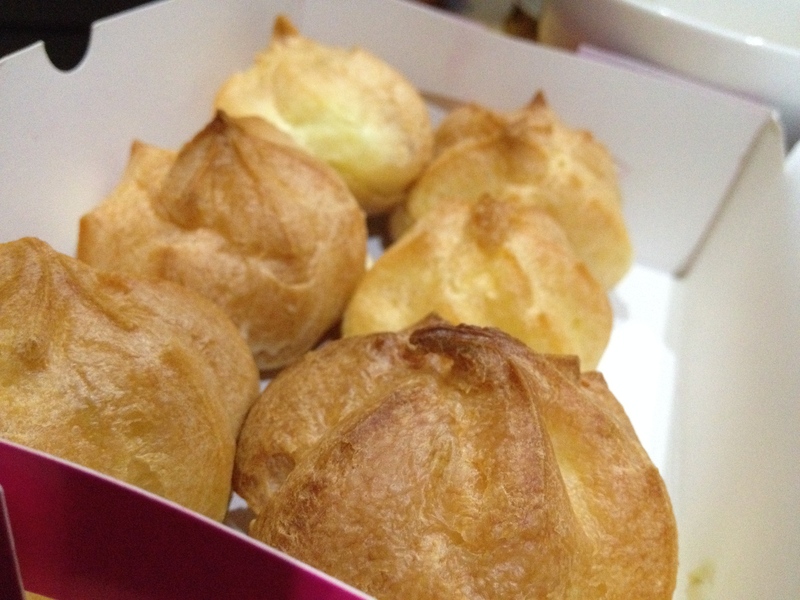 This, people, is durian puff! Light pastry on the outside. It’s almost entirely filled with the creamy, tasty, rich durian mixture. A mouthful is to be savoured slowly. A mouthful is never enough. A mouthful is precursor to the next. And the next. And the next puff! And now, if you will excuse me, I believe I hear the puffs calling my name… .Haha! This entry was posted on 30/04/2014 at 22:55 and is filed under Gastronomy. You can follow any responses to this entry through the RSS 2.0 feed. You can leave a response, or trackback from your own site.